Between 1931 and 1978 Ida Lupino was credited on more than 130 films and TV programmes. Already a Hollywood star, she set up her own company and established a successful career behind the camera as producer, writer and director, known to her crew simply as ‘mother’. She tackled social themes at a time when these were rare onscreen, combining an eye for documentary reality with an assured dramatic flair. Her remarkable story is still an inspiration to filmmakers today. 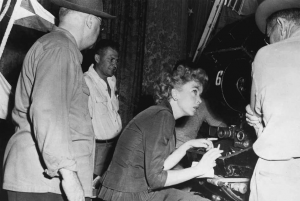 Join us to celebrate Ida Lupino’s remarkable career in her centenary year.